Petaluma is in the southern end of Sonoma County and many people commute from there to San Francisco. 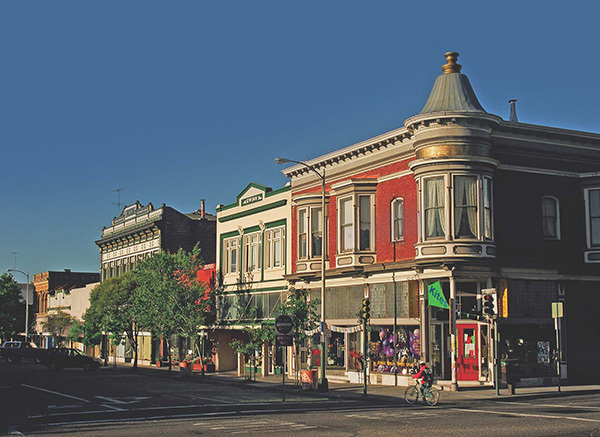 It has architecturally grand residences and commercial buildings from the 1800s. In the early days of our county, barges worked their way down the Petaluma River and out to the bay to take lumber and farm goods to San Francisco. The area is known for dairy farms and chicken ranches and that is still celebrated with the annual Butter & Egg Parade & Festival in April. Visitors will find a vibrant downtown with good restaurants, eclectic shops and a variety of music and theater venues.